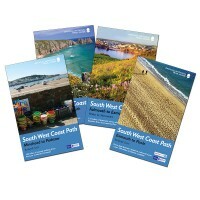 The South West Coast Path is the longest of Britain's National Trails, following the spectacular coastline for 630 miles (1,008km) around the southernmost tip of England from Somerset all the way to Dorset. 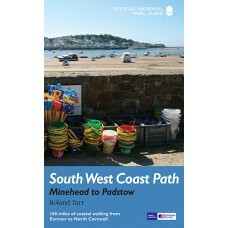 This volume features the Path's northernmost section, 166 miles (266km) from Minehead to Padstow. It skirts the Exmoor National Park, taking in the precipitous harbour towns of Lynton, Lynmouth and Ilfracombe, before heading south-west into Cornwall along the surfers' coast via Westword Ho! and Arthurian Tintagel, to finish in the gastronomic mecca of Padstow. Along the way there is the coastal path around Lundy Island, with its puffins, and other arresting wildlife from shearwaters to basking sharks. For the holiday stroller or the long-distance walker, this official guide contains everything you need.